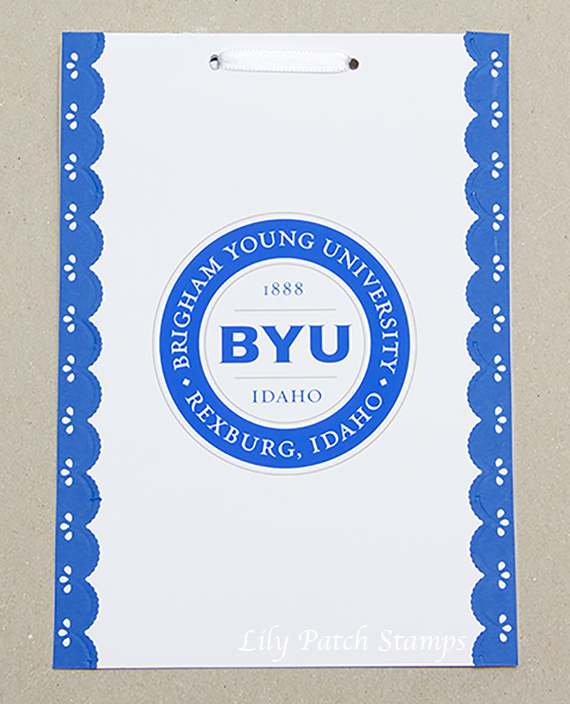 My dear friend will be graduating from BYU shortly and asked me to make some invitations for her. How could I say no. Even though my schedule is packed I always make time for friends when they call. She asked to have her photos included in the invitation so this was what we came up with. 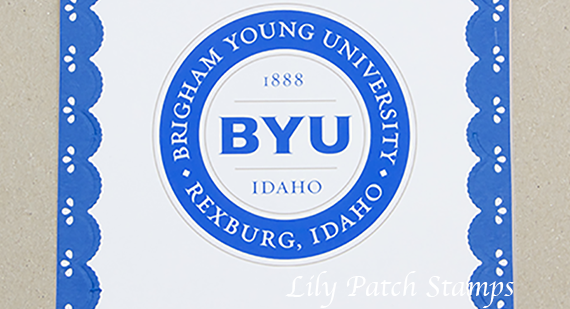 I grabbed an image of the BYU logo and printed it onto white cardstock. I hand punched all the scallops carefully adhered them to the sides. I couldn't find matching blue ribbon so I went with white and I like it much better. It blends it nicely with the background. 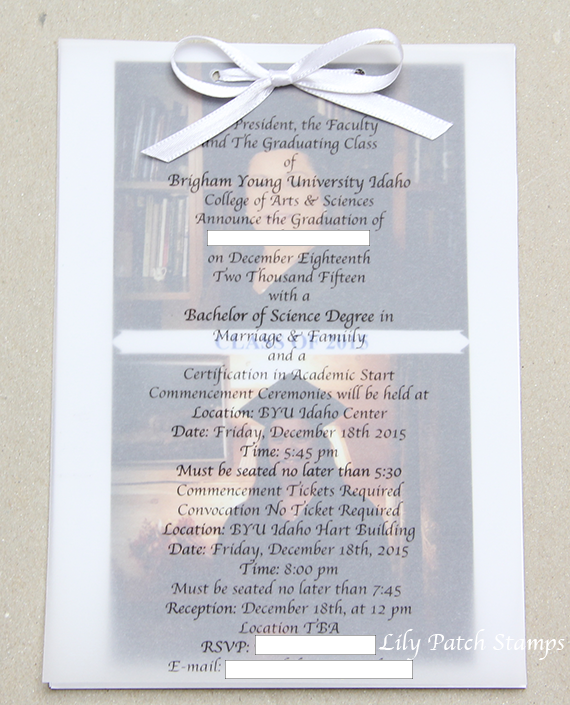 The announcement/invite was printed onto vellum and attached with the bow. Her photos are printed on glossy paper with Class of 2015 in the center on top of the white banner. Beautiful invitation. Thanks for joining the Crafting With An Attitude challenge.